Whether your hospital or clinic has been managing digital diagnostic test results for years, or you are just now thinking of going digital with an ECG Management System, Epiphany has a process for implementing Cardio Server to suit your needs. 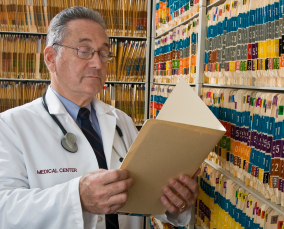 If your institution is currently storing diagnostic test results in a patient folder or scanning them directly into your EMR without an electronic signature, consider Epiphany’s PDF Naming Wizard. Epiphany works with you to ensure that this process is accurate and organized. If your hospital does not want to scan in old studies with the PDF Naming Wizard, your physicians can simply view the new digital study on Cardio Server and compare it to the previous, paper study. 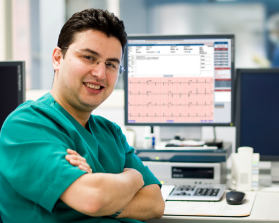 For hospitals with an existing ECG management system, we can digitally migrate your legacy ECG data into Cardio Server. Epiphany extracts ECGs from the source ECG management system, processes the data, then loads processed ECGs into Cardio Server making it available for visual comparison and Epiphany’s Intelligent Serial Comparison. ECG comparison is important because it helps show the reading physician how an ECG study has changed from the previous one. Most Epiphany customers that had already owned an ECG management system request a migration, since the ECG data is already digital. For more information on implementation for a paper-based or digital migration of ECG data, leave a comment below and your question will be answered promptly.